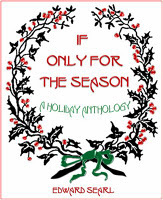 This engaging anthology touches varied aspects of Mid-Winter festivals‒their history and lore, their symbols and meanings, their personal and universal currents. For thirty-three Holiday Seasons, Ed Searl worked and reworked the richness of Mid-Winter Festivals, ancient and modern, for Unitarian congregations in Youngstown, Ohio, and Hinsdale, Illinois. He wrote poetic meditations, fashioned sermons, composed essays, and even scripted a short story for a Christmas Eve service. The richness and varied meanings that cluster around the Winter Solstice, Christmas, and The New Year seeped into Ed's spirit and transformed him. These selections will bring Holiday tidings of meaning and emotion to your spirit, too, transforming you during not only The Mid-Winter Season, but also through all the days of the year. This is an essential collection for Unitarian Universalists--for personal use and for fashioning Mid-Winter celebrations and services.